Millions of voters queued up to vote in Pakistan’s 11th general elections, with some history-making events also taking place in the conservative areas where women are usually not allowed to take part in an activity outside their homes. Women in a village located in Khuhab, a city in Punjab, made history by casting their votes for the first time ever since the country came into being. They reached the polling stations soon after the polling time started and used their right, Daily Pakistan reported. Females in the tribal district of Mohmand proceeded on foot to the polling stations. Likewise, women in Dir were also allowed to cast their ballot. Dir was once a Taliban stronghold where women had few rights and were not allowed to vote. In Lower Dir, there was a heavy turnout of women voters and it was the same scene in Mithi and Badin areas of Sindh. Women were allowed to cast their votes in Hali Banda area of Achini on the outskirts of Peshawar after the Election Commission took notice of locals barring female voters in Peshawar and Bannu from exercising their right to vote. 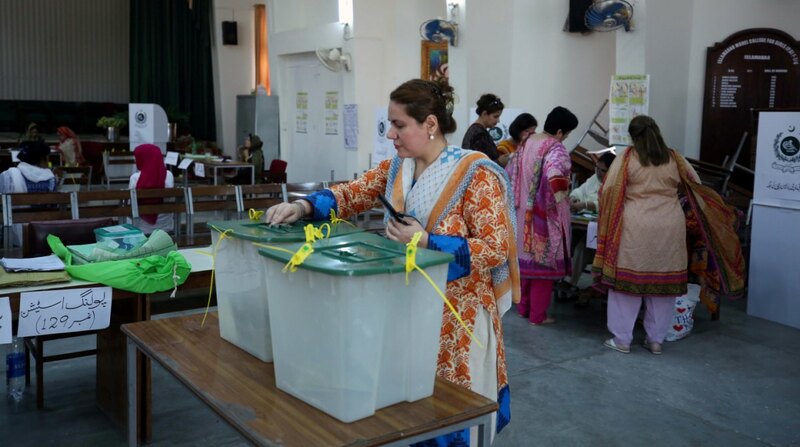 In another Peshawar constituency, women voter turnout was reportedly very low. Out of 1,700 votes expected to be cast, only 56 votes were cast till the afternoon. Women have had the right to vote since the founding of the country but being able to use it is a different story. 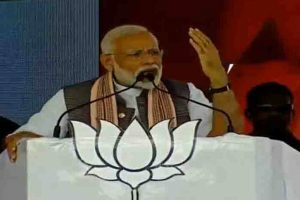 As the polling progressed, there were complaints of women being barred from voting in several areas, including Noshera, said the Election Commission secretary. In one constituency of Mandi Bahauddin, a city in Punjab, women were unable to exercise their right to vote. According to reports, women in parts of Khyber-Pakhtunkhwa province were being dissuaded from voting. No woman voted in Shangla and Kohistan districts of the province. The reason behind the low female turnout was the absence of a segregated polling station, reports said. All political parties, especially the religious ones, said in their political campaigns that women should be allowed to vote. However, women in certain areas were forbidden to vote by jirgas – Council of Elders. Despite announcements aired by mosques in several areas, women did not turn up to vote. The election body said that any polling station where women’s votes were polled less than 10 per cent of the overall votes cast will have its results cancelled. The 10 per cent requirement is part of election laws governing the process. In the ongoing elections, as many as 105.96 million people, including 47 million female voters, will be able to use their right to vote from 8 am till 6 pm without any formal break, with over 12,000 candidates vying for 272 national and 570 provincial assembly seats.